Providing a wide selection of family dental services, our Richmond dental practice welcomes new and existing patients to our friendly dental office. Understanding that good oral hygiene habits begin at an early age, Dr. Juan Carrillo has opened his doors to patients as young as one year of age. Dr. Carrillo has been practicing quality dental care for 21 years and takes the time to assist individuals of all ages with their dental care needs. 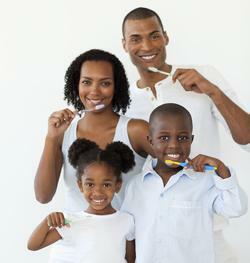 Our family dentistry procedures are designed to bring our motto to life - "Creating Heealthy Smiles" is what we do. 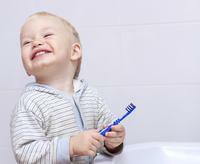 We are happy to assist you achieving better oral health and an improved smile! Our focus on individualized, one-on-one comprehensive care creates the perfect atmosphere for an exceptional doctor-patient relationship. Open communication is encouraged at all times, and each treatment is explained fully so that patients have the opportunity to make informed decisions. Dr. Carrillo is happy to see patients of all ages. He understands that young children often like to have mom or dad close by during their appointments, so he is sure to have the family presence they need in order to feel comfortable. Our staff keeps lines of communication open at all times so that parents understand any recommended dental treatments for their children. Putting our patients' best interest at the forefront of what we do, our office emphasizes preventive care, which is the first step to maintaining a healthy mouth. We use digital imaging to protect our patients against radiation exposure, while also enhancing our diagnostic capabilities and treatment planning. If a filling is necessary, our patients receive the benefit of composite fillings which avoid the aesthetic issues presented by traditional amalgam components. In addition to offering gentle, caring treatment for the teeth, our dentist also provides full gum evaluations during each bi-annual appointment. As long as no referral is needed, our dental hygenist can treat any gum disease that is apparent using non-surgical options (Arestin). Our patients are the most important aspect of our practice. We strive to deliver a warm and caring experience and treat our patients with exceptional care. Oral cancer and TMJ evaluations are done as a routine every 6 months when the patient comes in for their checkup. At our Richmond dental practice, our goal is to deliver the best possible patient experience, while bringing to light essential information regarding oral hygiene practices. Questions? Would you Like to Request an Appointment with Your Richmond Family Dentist? To schedule a dental appointment for yourself, or any member of your family, contact our Richmond family dental office today!